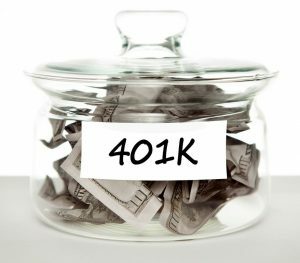 The U.S. Department of Labor estimates each year tens of thousands of workers fail to claim or rollover $850 million in 401(k) retirement plan assets when they change jobs. A disproportionate share of the missing are family members of deceased employees who fail to claim pension benefits stemming from employment that may have ended years earlier. Another increasingly common problem: former employees of bankrupt companies unable to locate their 401(k) accounts, because many insolvent businesses fail to provide for the administration of 401k plan assets when they cease operations. Participants in defined-contribution retirement plans such as the 401(k) are protected when their employers fail or otherwise cease operations, because they individually own the assets in their accounts. This differs from employees with traditional (defined-benefit) pension plans, which are subject to the solvency of the employer; but may be protected against loss by the Pension Benefit Guaranty Corporation, the federal agency responsible for the regulation of private pension plans. While it is true retirement funds invested in 401(k) plans continue to earn interest and accumulate potential capital gains even after a business no longer exists, there is an important caveat. Even though benefits belong to the employee, plan administrators can terminate your further participation in the plan if you (or your heirs) fail to claim plan benefits or cash a benefit check. The financial institutions holding unclaimed 401(k) assets – banks and brokerages appointed by the plan administrator – make little if any effort to locate lost employees and missing retirement plan participants, because by law their responsibility is to the company, not the employee. (Some lost participants may receive notice from the Social Security Administration, but only after reaching retirement age). If you have reason to believe you are entitled to claim a missing 401(k), either as the employee, spouse or rightful heir, but have not received payment, contact us to start a search.